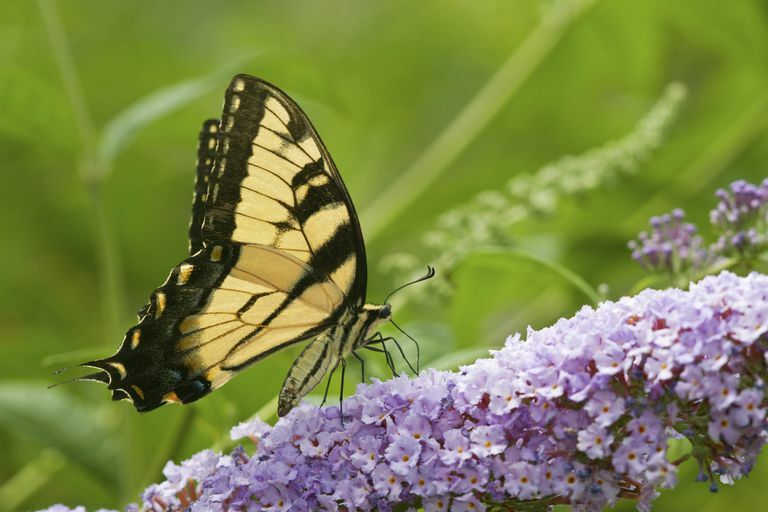 Gardeners who want to attract butterflies to their gardens often plant butterfly bush (genus Buddleia), a fast growing shrub that blooms prolifically. While butterfly bush is easy to grow, inexpensive to buy, and a good attractant for butterflies, some argue it's one of the worst choices for a butterfly garden. For years, butterfly bush (Buddleia) has divided gardeners into two camps: those who plant it without apology, and those who think it should be banned. Fortunately, it's now possible to plant butterfly bushes without negatively impacting the environment. Buddleia is well-loved by butterfly gardeners because it is well-loved by butterflies. It blooms from spring to fall (depending on your growing zone), and produces an abundance of nectar-rich flowers that butterflies cannot resist. Butterfly bush is easy-to-grow and tolerates poor soil conditions. It requires almost no maintenance, other than an annual hard pruning (and some gardeners even skip that). Unfortunately, a plant that produces such a bumper crop of flowers also produces a bumper crop of seeds. Buddleia is not native to North America; butterfly bush is an exotic plant from Asia. 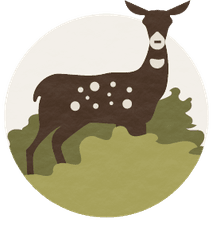 Ecologists deemed the shrub a threat to native ecosystems, as butterfly bush seeds escaped backyard gardens and invaded forests and meadows. Some states banned the sale of Buddleia and listed it as a noxious, invasive weed. For commercial growers and nurseries, these bans were consequential. According to the USDA, the production and sale of butterfly bush was a $30.5 million industry in 2009. Despite Buddleia's environmental impact, gardeners still wanted their butterfly bushes, and growers wanted to continue producing and selling it. While butterfly bush provides nectar for butterflies, it offers no value for butterfly or moth larvae. In fact, not a single native North American caterpillar will feed on its leaves, according to entomologist Dr. Doug Tallamy, in his book Bringing Nature Home. Butterfly bush spreads easily because it produces thousands of seeds during the course of a growing season. If you insist on growing butterfly bush in your garden, do the right thing: deadhead Buddleia flowers as soon as the blooms are spent, all season long. Better yet, choose one of these native shrubs instead of butterfly bush. In addition to providing nectar, some of these native shrubs are also larval food plants. Just when you were getting ready to compost your butterfly bushes for good, horticulturalists found a solution to the problem. Buddleia breeders produced cultivars that are, in effect, sterile. These hybrids produce so little seed (less than 2% of traditional butterfly bushes), they are considered non-invasive varieties. The State of Oregon, which has a rigorous ban on Buddleia in place, has recently amended their ban to allow these non-invasive cultivars. Seems you can have your butterfly bush and plant it, too. One important thing to remember, though, is that Buddleia is still an exotic plant. While it is an excellent source of nectar for adult butterflies, it's not a host plant for any native caterpillars. When planning your wildlife-friendly garden, be sure to include native shrubs and flowers to attract the most butterflies.